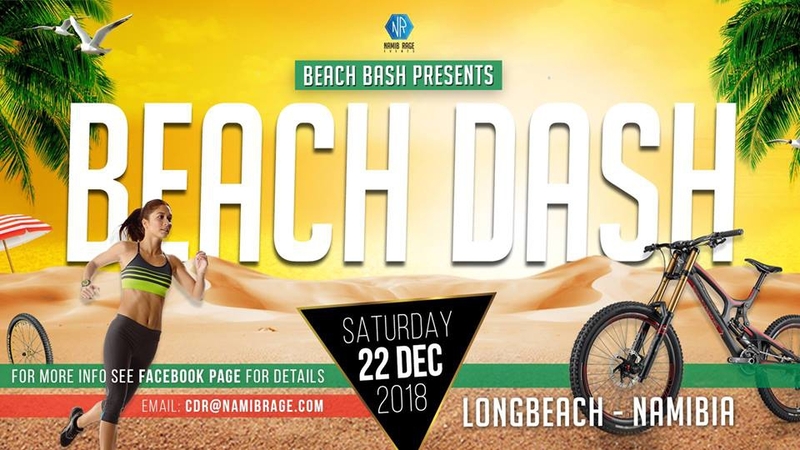 Beach Bash presents Beach Dash. The first ever Beach cycling event to hit Namibian shores. Own a Fat Bike? Then this is meant for you. Don’t have a Fat Bike? Don’t worry, you can rent one for the day or if you are up for a challenge like a true Namibian, then hop on your mountain bike and show us what you got. The race will be Fat Bike and Mountain Bike friendly. The routes will be set out to accommodate for both bike types. Don’t have a bike? No worries. Then go for a jog. What’s better than a bit of sand between your toes. For the not so fit and less serious cyclists, a shorter route of approximately 10km will be waiting for you. Your starting point is Bird Island, where you will be welcomed with live music to get those veins pumping. Hereafter you will continue onward to Dolphin Beach and ultimately end at our iconic Tafel Lite Beach Bash at Longbeach. Here you will be welcomed with a private beer tent, live music and a price giving. Your journey does not have to end here though. If you need some recovery time, feel free to join us at the Beach Bash party. You will have to upgrade your ticket though. For the fit and serious customers who are always up for a challenge will be battling it out on our 30km route from Walvis Bay to Longbeach. You will join up with the rookies at Bird Island and battle onward on the same route as them.